One of the most lovable aspects of having a Nokia mobile is that there would be unbelievably profuse free themes to download for almost any Nokia model. 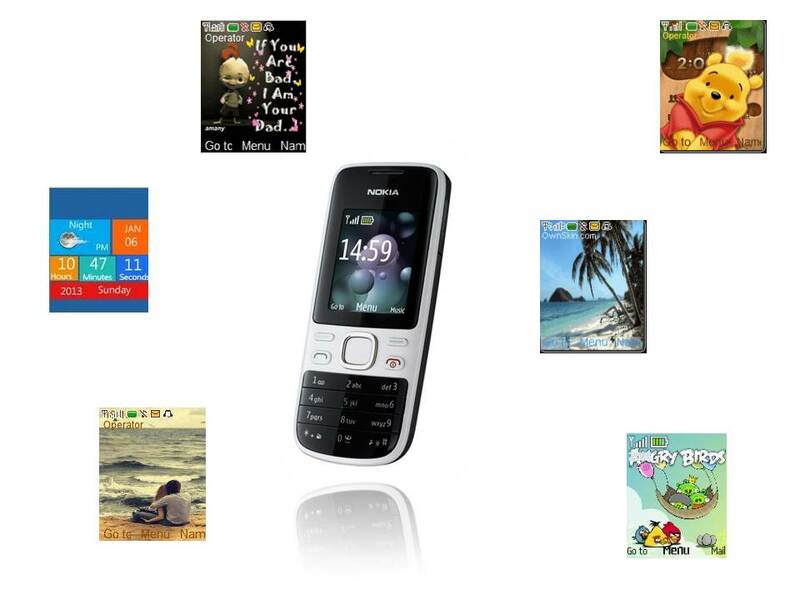 Since you are reading this article, it is evident that you own a Nokia 2690 and are planning to get your hands on some free Nokia 2690 themes to download. But there are so many useful (and sadly many useless too) themes out there that get you hold your head in confusion. So I have compiled a series of free themes for Nokia 2690 for you to download and segregated them under various categories. Also, most of these themes are compatible with many other Nokia mobiles like -Nokia 1680c, 2220s, 2320c, 2323c, 2330c, 2600c, 2630, 2660, 2680s, 2690, 2720 fold, 2865i, 3109C, 3110 Evolve, 3110c, 3500c, 3555, 5070, 6102i, 6151, 6165, 7070 Prism. So lets get started. Quickly skim through all the categories and choose the best for yourself. 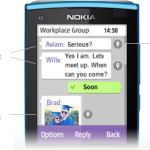 Free Windows 8 metro theme for Nokia : The much awaited OS is here. How can we not have a theme on it? 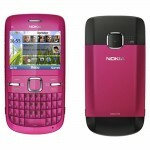 This free Nokia theme comes with the hit metro interface kind of look. The home screen has time, date and weather displayed on various multi colored tiles, while the ,menu icons also mimic the windows 8 theme. Free Windows 7 theme for Nokia : Though there are many windows 7 styled theme for Nokia, this one impressed my most, because it is naturally windows 7. The best thing I like about this theme is the main menu which is designed exactly like a windows 7 window with the minimize/maximize/close buttons and the default windows 7 icons for each menu item. The main screen is designed with dummy widgets as in windows 7. Free Ubuntu theme for Nokia : Ubuntu is in itself considered to be most aesthetic OS. It’s beauty is well carried to mobile with this free Ubuntu theme for Nokia. 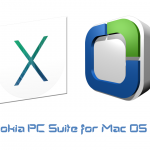 Free Mac OS theme for Nokia : Mac X mountain OS is known for its default dark starry background. 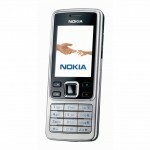 The same is used in this Mac theme for Nokia in both the home screen as well as in the menu screen. This theme is one of my favorites because of the catchy quote “If you are bad, I am your dad”. 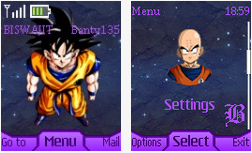 It is an animated theme with cartoon menu icons. This sweet little warns people to not touch your phone. Angry birds theme comes with everyone’s favorite Angry birds and the bad pigs. Lovely Pooh theme comes with a cute pooh in the main screen and all the other icons are from the Pooh cartoon. 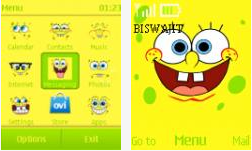 Sponge Bob nokia theme comes with sponge bob cartoon’s faces in the main wallpaper and all icons. Dragon ball z nokia 2690 theme is a purple skin that has Goku as the main wallpaper and other Dragon Ball Z characters for each menu item. 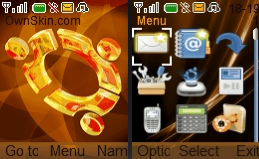 Ben 10 theme comes with 2 wallpaper options and each menu icon is a Ben 10 villein. Sunshine shore nokia 2690 theme is a must for aqua blue lovers. Dark night theme is a subtle gray theme with artistic dark trees. Waterfall themes is a great animated scenery. The menu screen gets a pebble background. Colorful flower theme has a vibrant main screen and an abstract menu screen background. 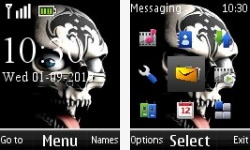 The skeleton theme gives many skull background options. Blood lover is a non animated skull theme. Danger theme looks truly dangerous. Isn’t it? 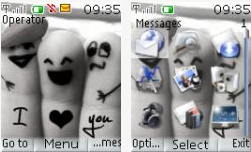 I love you is a sweet finger art theme. Love couple theme is a couple at the sea-shore. All the menu icons are love symbols. Sweet love theme is that of a sweet dummy couple. 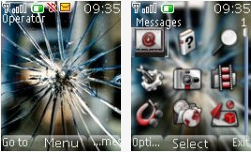 Broken glass theme – the name says it all. Butterfly theme is of purple neon glow butterflies with a light blue menu screen background. 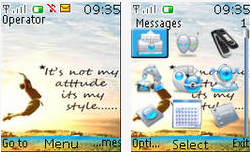 Nokia 2690 Linestract theme is one of the best when it comes to abstract themes. Hope you like this set of top free Nokia 2690 themes. Do let me know through the comments. Safe downloading ! Hello,I log on to your blogs named “Top 25 Free Nokia 2690 Themes to Download – Nokia Jailbreak” daily.Your story-telling style is witty, keep it up! And you can look our website about مهرجانات 2017. Please enter a nickname of your choice.